Watch out Southie, Fridays just a whole lot more LOCO at Loco Taqueria & Oyster Bar with the addition of Rum Punch Lunch! Every Friday this summer starting at 11a.m. 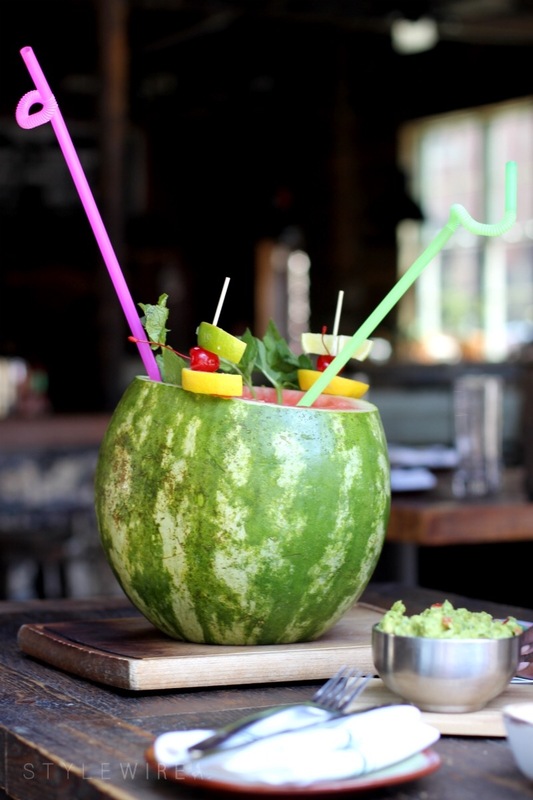 Loco will be serving up their delicious "Rum Punch" in a carved watermelon for you to share alongside all of your menu favorites like Sheet Pan Nachos, Fried Oysters, and Chicken Enchiladas (take a peek at my last visit to Loco for my brunch faves). 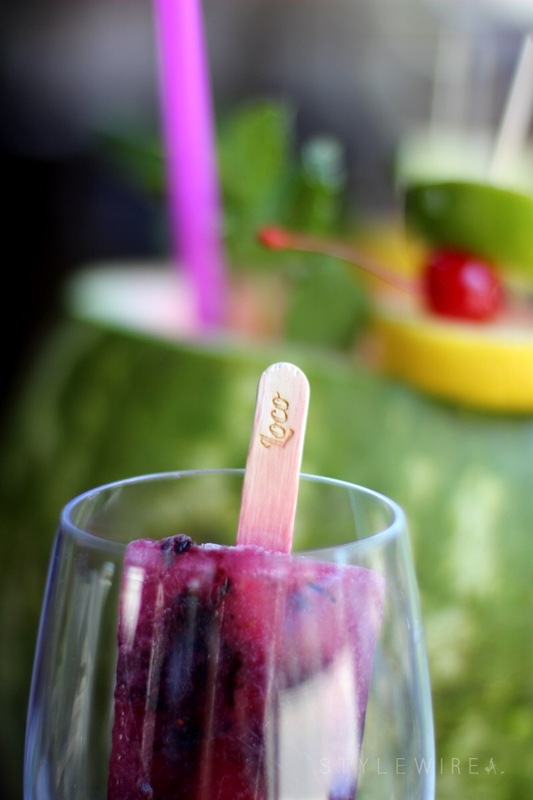 Cause, really, what's better on a hot summer day than hanging out at Loco and sipping Rum Punch? Nothing. You can ask my pal Gabby; I brought her along to help me conquer that watermelon while we snacked on Street Corn and Fish Tacos. 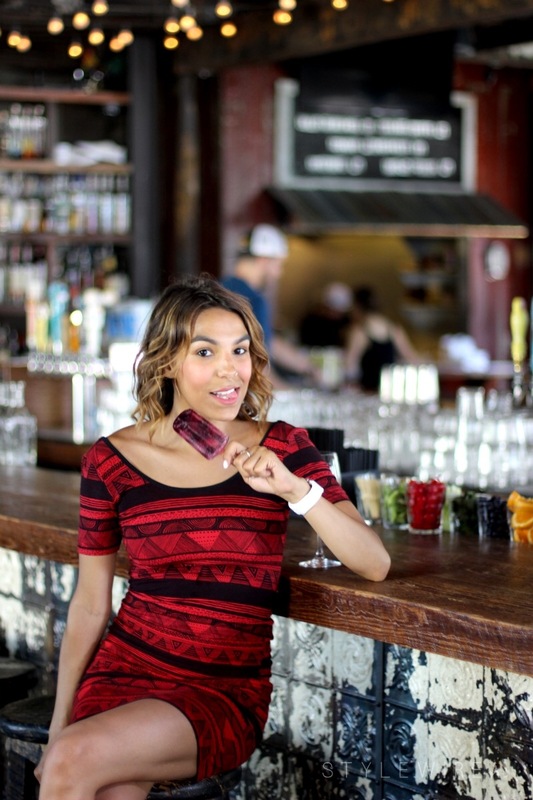 I was already in heaven when Gabby alerted me that Loco also serves Tequila Popsicles on occasion as well. We were pretty excited when they brought some out from the kitchen freezer for us to try. So maybe I was wrong before... because a Blueberry Lemonade Tequila Popsicle at Loco while sipping Rum Punch and eating fish tacos with an amazing gal pal is probably the best way to spend a summer day. They serve up several types of Rum Punch but we stuck with the classic offering; not too sweet and perfectly refreshing. We arrived a little after noon, but by 1pm the restaurant was filling up and I was starting to feel a little buzz. Naturally we followed that up with more food; the Loco Taco Salad topped with chihuahua queso and lima crema really hit the spot (and sobered me up a little).